These are my go to sock. The sock has elastic features built in to prevent movement on your foot. Merino wool has natural antimicrobial ability, and wicks moisture really well. The best sock Iever found. Not just for sking but also everyday wear. Have leg issues and this sock helps me get thru the day. Hands down one of the comfiest socks to use while skiing or snowboarding. The merino wool keeps my feet dry and comfortable and the graduated compression keeps my legs feeling strong the whole day. These are the best socks to ride in. 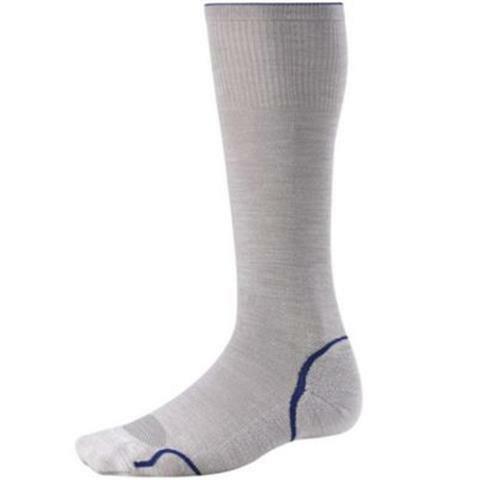 The wow tech absorbs shock and the light weight material allows your foot to breath and still stay warm.